An abundance of leaks is nearly customary at this point, as OnePlus reportedly gears up for the release of its next flagship smartphone next month. The Pro variant is expected to sport a massive 6.67-inch Full HD+ curved screen with a pop-up selfie camera. Even though it is one of the most requested features by its community, the company is neglecting it for a long time. There is a possibility that OnePlus might be planning to soon unveil the widely rumored OnePlus 7 smartphone. Amazon India recently carried out its Fab Phones Fest, during which the OnePlus 6T was being offered at up to a Rs 4,000 discount, across variant. Maybe that's the difference between the OnePlus 7 and the OnePlus 7 Pro, also coinciding with the "Go Beyond Speed" moniker. For all else, we expect the OnePlus 7 to continue the tradition of fast-performing, buttery smooth OnePlus phones with a focus on speed. The OnePlus 7 looks like a rather squat device in the images, but it's said to have the same dimensions as the OnePlus 6T, albeit 0.1mm thicker at 157.7 x 74.8 x 8.1mm (or 9.5mm thick if you include the rear camera hump). There have been rumors about the OnePlus 7 featuring stereo speakers. 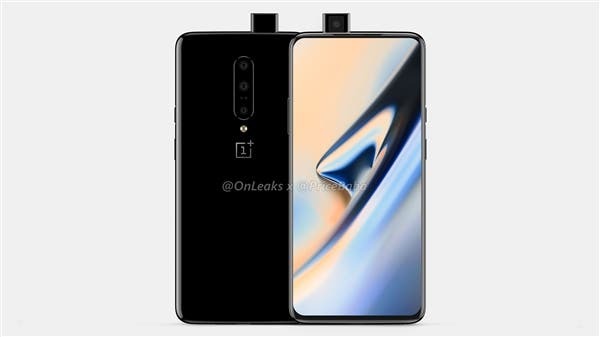 The front has the same teardrop notch so it would seem that this is the standard OnePlus 7, and would likely be at a lower price point. The OnePlus 7 could be a hardware refresh of the OnePlus 6T, bringing in updated specifications like the Qualcomm Snapdragon 855 SoC and perhaps a better camera setup, giving us the best of both worlds. There are going to be three cameras at the back of the phone, combining 48MP + 20MP + 5MP sensors and a 16MP front-facing camera. You should take all this information with a pinch of salt, though, as nothing can be confirmed till these phones are actually launched next month. For Stewart, the Storm and basketball fans around the world, let's hope this one isn't almost as bad as it looks. Many WNBA players players elect to play overseas to make ends meet, so they don't really get much of a break. Two weeks ago, she told The Sydney Morning Herald and The Age that she forgave her parents for taking them to a war zone. The grandmother has been pushing to get her grandchildren back to Australia . "We were brought here by our parents.